With the world becoming more and more mobile every day, there is a constant need for additional electronic accessories. 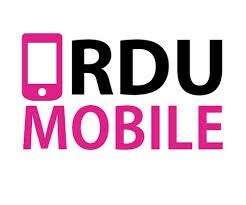 RDU Mobile, the newest provider of electronic accessories, announces that they are now open and invites customers to check out their website for mobile accessories. RDU Mobile will be offering the best cell phone cases, screen protectors, skins and ear buds. They also have a variety of covers and protectors for tablets and laptops. In addition to their cases and screen protectors, RDU also provides chargers, adaptors, cables, speakers and mobile mounting systems. “We are excited to become the leading provider of all types of electronic and mobile accessories. It has taken a lot of hard work to get here, but we still have so much we want to accomplish,” explains Jonathan Matthews, CEO of RDU Mobile. RDU Mobile was launched in June 2013, and has grown exponentially since. They have brought in several new products and just recently relaunched their website for their grand re-opening. RDU Mobile now has the best iPhone cases, chargers, skins, screen protectors, chargers, adapters and mounting systems for easy use. They also have Samsung Galaxy cases, protectors, chargers and mounts, in addition to their laptop and tablet cases. “We welcome all tech-savvy mobile users to check out our website to see the vast selection and great prices offered. If someone wants to get our products in a store near them, we are more than happy to do that as well – just let us know,” continued Jonathan Matthews. RDU Mobile is mainly focused on their online sales, but do have some shelf space is stores in North Carolina. They plan to expand this facet of their business over the next several months, taking their products to store shelves across the United States. Based in North Carolina, RDU Mobile has been providing consumers all over North America with a variety of electronic and mobile accessories since June, 2013. RDU Mobile provides cell phone cases, screen protectors, skins, chargers, adapters and mounting systems. They also have cases and covers for tablets and laptops. For more information, please visit http://www.rdumobile.com or call (919) 792-8853.